The Midlands Viking Symposium will take place in Dublin this year on Saturday 30th. April! 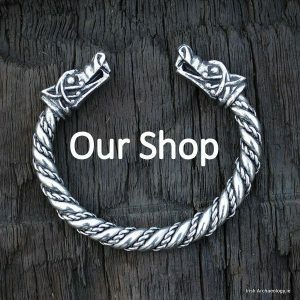 Viking Age Ireland has become one of the most fertile and interesting areas of research in Viking Studies in the past decades. The newly discovered site at Annagassan (Co. Louth), as well as recent excavations, such as Woodstown (Co. Waterford) and the wealth of evidence from Dublin, have shown that the Viking impact on Ireland has been long-lasting and extensive. 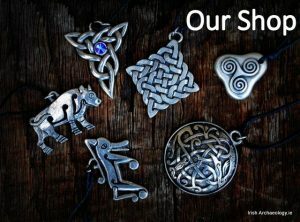 Artefacts, such as a necklace found in a cave in Co. Clare and silver hoards, like that recovered at Dunmore (Co. Kilkenny), as well as genetic research, tell us much about the relations between Viking and Irish people, as well as links across the Irish Sea. Continuing a recent research collaboration between British and Irish scholars,* which was funded by the Irish Research Council for Humanities and Social Science and the British Arts and Humanities Research Council, The Midlands Viking Symposium 2011 will explore the impact of the Vikings on both sides of the Irish Sea. This is an opportunity to share recent research with a wider community interested in the Vikings. The organisers are proud to offer papers by some of Ireland’s leading scholars in Viking Studies, as well as some renowned British colleagues. This year’s Symposium offers the traditional day of papers presented by scholars, but has also some exciting additional activities. Should be great conference with some excellent speakers lined up. See the link below for more info.